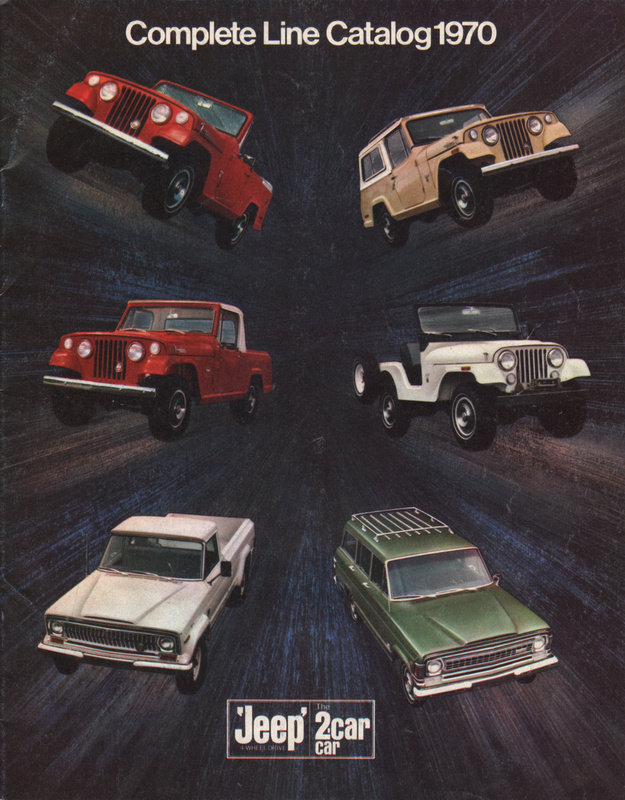 Sales brochure featuring the 1970 Jeep line-up. Models include the Jeep Wagoneer, Jeep Gladiator, Jeep Gladiator Camper, Jeep Universal, Jeepster Commando Station Wagon, Jeepster Commando Pick-up, Jeepster Commando Convertible, and Jeepster Commando Roadster. Both V6 and V8 engines are available. Brochures are presented for research use only. Company marks, emblems, and designs are trademarks and/or service marks of Kaiser.